The members of Deo weren't profi musicians,all they had civil jobs.Harald Hoffmann was a photographer, Klaus Kranz was electrotechnician, Andreas Pasieka studied social pedagogy and Christoph Aengenheyster studied Latin and Greek.Deo has only one released album. 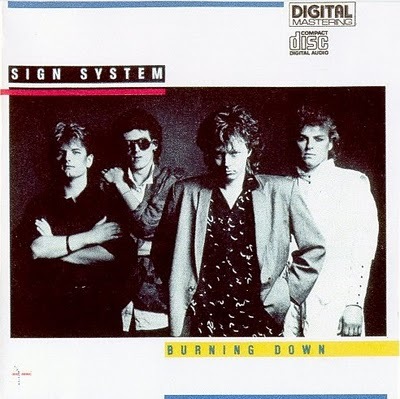 They reformed the band in 1984 under a new name,Sign System.The members were the same,but everything else changed around them.Their new label was Bellaphon with a new producer Ian Wilson (produced also Vasco Rossi),the new musical style was Synth-pop, Disco,Italo with english texts only.Their biggest hit was the Secret Service-like "Stay with me" (1984), appeared also on "I love Italo Disco vol.33" .I think the other songs are good too.Nothing punk or new wave,but nice easy-listening songs with typical 80's sound. They made only one album.